I want to stay with family in Thailand but I cannot go back please help me clear my blacklist so I can stay with my wife and my baby. We have referred you to a law firm in Thailand. 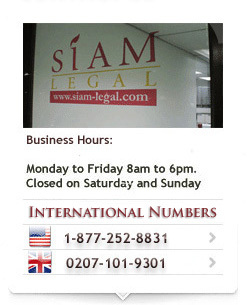 Kindly send an email to info@siam-legal.com with your information.